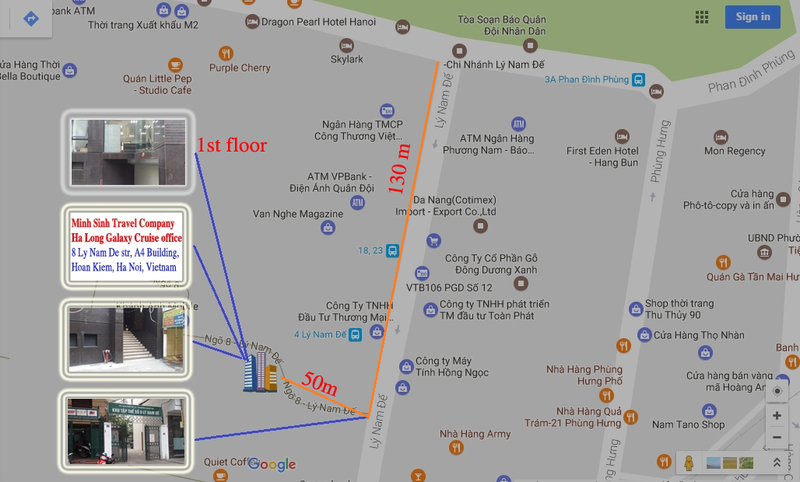 10h30: Have short break at Humanity center in Hai Duong and enjoy local specialities. 13h30:A fantastic cruise in Halong bay, pass through Dinh Huong islet, Ga Choi islet, Dog islet, Sail island, then visit Sung Sot cave and swim at Soi Sim beach or Titov beach. 7h30: Wake up and have breakfast with tea or coffee. 8h30: Relax and enjoy the breath-taking beauty of the rocky islands rising fr0m the crystal-clear water of the Bay such as Man’s Head islet, Tortoise islet, Butterfly cave, Lion islet… in Bai Tu Long Bay, enjoy the tranquil scenery as the boat meanders its way through the bay on the way back to Halong city, etc. 9h30: Stop for a hour breath-taking swimming. 11h30: Arrive in Halong city and have lunch at the restaurant. Inclusive : Transport, boat trip, English speaking guide, meals: 2 lunches, 1 dinner, 1 breakfast, entrance fees, kayaking.